Recap of Interesting Resources and Blog Posts – June 2014 | Stop Complaining – Enjoy Language Teaching! 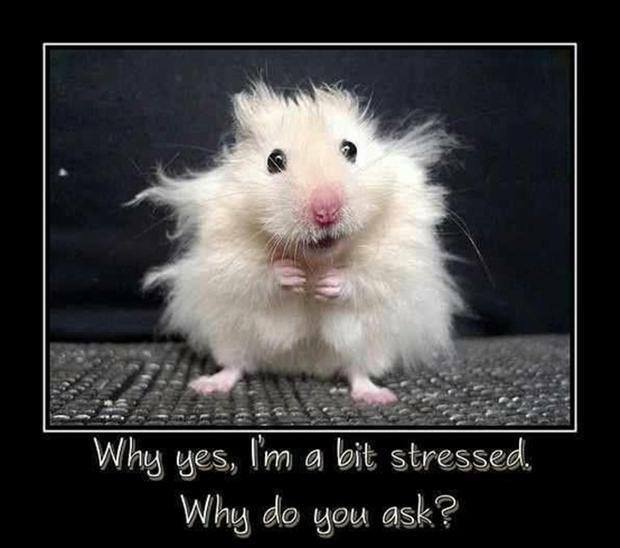 Hope you have recovered from the conference! We certainly have and are already making new plans. In the meantime, see below for interesting things we spotted in June. It’s been about 4 weeks since the closing of eltforum.sk 2014. Did you have a good time? Did you find it helpful for your professional growth? We had a GREAT time! But we want to hear from YOU! Let us know the good and the bad – give us your feedback here. By filling it out, your name will be entered for a drawing to win a place at the next eltforum.sk! Photos from the conference! Day 1. Day 2. Thank you, Ondrej Koscik. 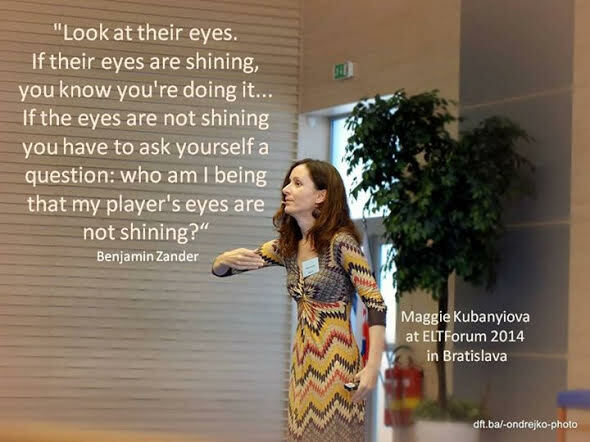 Anna Tereza and her pics from the ELT Forum 2014 on Facebook. Did you get to Nina and Anita‘s presentation on CPD: “The story of two teachers”? Nina always comes prepared, so of course she’s got a video of it ready for you just in case! And in case you didn’t know, Anita Adnan (mother of 7) came all the way from Malaysia (16-hr flight) to share with us this past weekend. Nina EnglishBrno‘s a bit closer . Prof. David Crystal’s keynote at this year’s Eltforum.sk was on the language, or better yet, the EnglishES we teach. Yes, that’s plural, because speakers of the language make it their own anywhere and everywhere they use it. South African English is no different. In this excerpt, the Professor shares his first encounter with a South African robot. Can you do this? Come up with a dialogue in which each word begins with the next letter of the alphabet. David and Hilary gave us a performance as the Language Players last Saturday evening and it was a delight to the ears and a joy to the English word-lover’s heart. In this excerpt, the one and only David Crystal answers participants’ questions about English and advocates for English teachers! Do you students keep slipping into L1? Read this article by Leon Butchens. Hmm… Is anyone teaching? Anyway, a blog post with examples of how a simple online game called Skyscraper Parcours was used in the classroom to spice up regular work. Just some gamification for reward. First call for papers! Deadline: November 1, 2014 CONFERENCE: Language in Focus: Contemporary Perspectives on Theory, Research, and Praxis in ELT and SLA in Cappadocia, Turkey. When: March 4-7, 2015 Plenary Speakers: Ayşe Akyel, Simon Borg, Vivian Cook, Rod Ellis, Susan Gass, Rebecca Oxford, Lydia White. Many of us are mothers and fathers. How much has the parenthood changed you as a teacher? What have you learnt about teaching and learning thanks to being a parent? What is your story? Here is a story of a father and a teacher. What are the correct rules of English grammar? Michael Rundell, editor-in-chief of the Macmillan Dictionary, argues that we should expect linguistic rules to be bent and broken over time. 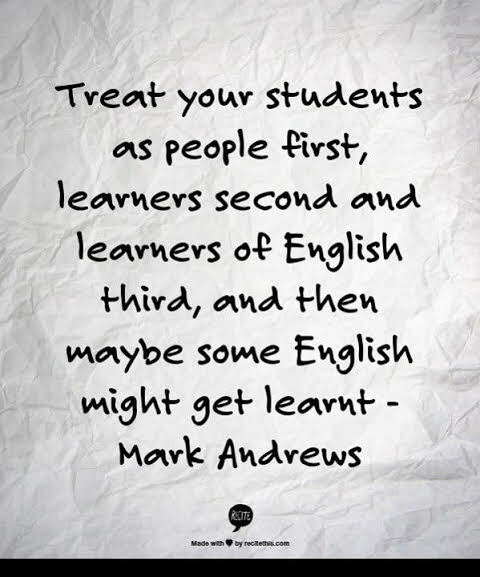 It’s often said that English is one of the hardest languages to learn… Do you agree? Top tips for your students on how to be less lazy. Good old flashcards, some ideas to use them with young learners. So our students read in English. Good. Perhaps not enough. This is how to help them ‘notice’. Look! A whole blog about learning English with comics. Yes, yes, yes! 50 super engaging activities to go for with your kids in summer. Storytelling and story-based activities are some of the most engaging things we can do with young learners. Find a free book with lesson ideas and 12 stories, brought to us by the British Council. Because your students’ essays are worth the effort. Short of ideas for your lessons? Don’t worry, we have the solution! Great webpage with short films and lots of ideas on how to include them in your lessons!